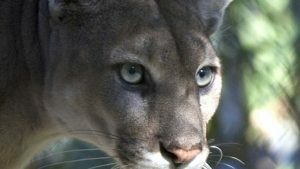 ZIGZAG, Ore. — Wildlife officials say they shot and killed a cougar on the Hunchback Mountain Trail area this afternoon. They’ve been searching for the big cat since Monday when the body of a Gresham hiker was discovered on that trail. The cougar is now being transported to the US Fish and Wildlife laboratory in Ashland where it will be analyzed to determine if it was the same cougar that killed 55-year-old Diana Bober. Bober had been missing since August 29th. This is the first verified fatal attack by a wild cougar in Oregon.